Ask yourself these questions: Do you really understand the ongoing tax liability your company is incurring every day it’s trading? Have you made adequate provisions in your planning to meet these obligations? Do you know what often “triggers” a Tax Audit? Unfortunately many business owners answer no to these important questions and this can leave them vulnerable and stressed. Tax is highly complicated, tax law changes daily and the skills of Tax Agents in Sydney vary tremendously. The complex nature of interpreting tax laws relating to the GST, Income tax, Capital Gains, Fringe Benefits, Payroll and other taxes, coupled with substantial penalties for non-compliance, creates pressure on business owners to get it right. We’re tax accountants in Sydney and Registered Tax Auditors, so we know our way around the Tax maze. 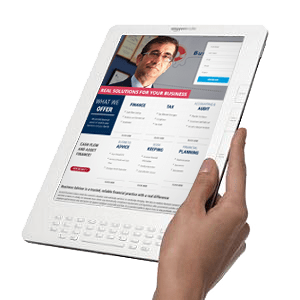 When you join the Business Adviser “Family” of companies we make it our mission to relieve you of these tax stressors and pressures and, as with all of our operations, we do so in a highly systematic and cost-effective way. IIdentifying the key tax issues in your business is critical and we regularly review those issues, ensuring that you’re safe and there are no “nasty surprises” when the Taxman decides to audit. Businesses often need to undertake odd or unusual transactions outside the normal scope of activity. It may be selling a part of your company, hiring new staff, arranging salary packaging or purchasing property. Perhaps you need to upgrade your plant and equipment, arrange to hold or transfer assets separately from the business or forgive a loan. Each of these transactions, (and many more), create taxation consequences and its critical that these consequences are identified and assessed to ensure that the correct tax liability is met. Without a comprehensive understanding of the tax law, it’s very easy to enter into a transaction in ways that compromise and undermine the maximum benefit an enterprise might otherwise expect. 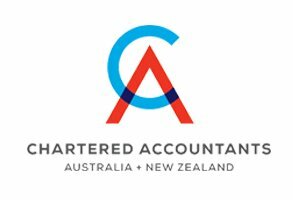 Business Adviser are Chartered Accountants in Sydney and we have the technical expertise to identify these issues before these mistakes are made, ensuring that you don’t pay more than is necessary in tax. In some situations there’s a greater degree of complexity or doubt about what may be required and we have relationships with specialist tax advisers who assist in interpreting tax laws that may impact on your business. As always, keeping you safe and ensuring your interests are protected is paramount in all of our operations as Sydney tax accountants. Act now and take the first steps to ensure your compliance and tax information is current and available when you need it. Why Choose Business Adviser Tax Accountants? We’re highly experienced Tax accountants and Tax Auditors – We know our way around the tax maze better than almost anyone. Our Tax advice is always integrated into our strategic plans for your business and your personal financial planning. We’re Chartered Accountants, which means we have higher qualifications greater experience and adhere to the highest levels of accountability and excellence. We have a wide, carefully selected network of highly qualified and experienced experts in many legal and financial fields to promptly provide the best advice when required. We’ve been in business for over a quarter century but we keep up with all the new developments in tax and finance. We’re here for you across the years to come. Our unique efficiencies in service delivery mean you can get “big city” advice for a much lower cost than you would expect. Our customer service is second to none but don’t accept our word for it. As most business owners know, the economic situation, both nationally and local, is constantly changing. Not only do markets fluctuate between highs and lows in terms of activity, but demands from clients vary dramatically, compliance requirements and regulations alter, government policies change, employee performances vary and factors far beyond individual control ebb and flow. It’s a constant battle to stay in front, to stay profitable, even to stay in business.